This particular publication and series of walks concern the commons. 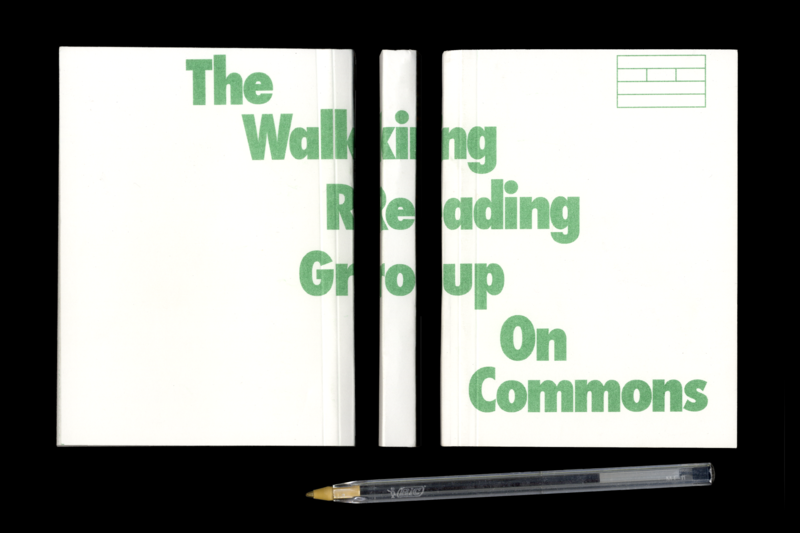 The texts provide references to delve into separate areas of discourse on the commons: resource, governing process and community. They are very small publications which are meant to fit in a pocket and be scribbled in with annotations and remarks.